The Spicy Life | Listen Free on Castbox. Author: The Spicy Life Inc.
Spicy Mari and Dr. Ally bring you raw and uncut expert advice from the relationship industries top professionals. Spicy Mari is a Relationship Expert and founder of The Spicy Life Inc. Dr. Ally is a Mental Health Expert. Together they explore taboo topics and tackle your hard to answer relationship questions. Every week you’ll receive valuable insight from dating coaches, psychologists, wedding planners, relationship authors, sexperts and so many more. The Spicy Life challenges you to take a different approach to forming and maintaining relationships. It's time to live spicy. 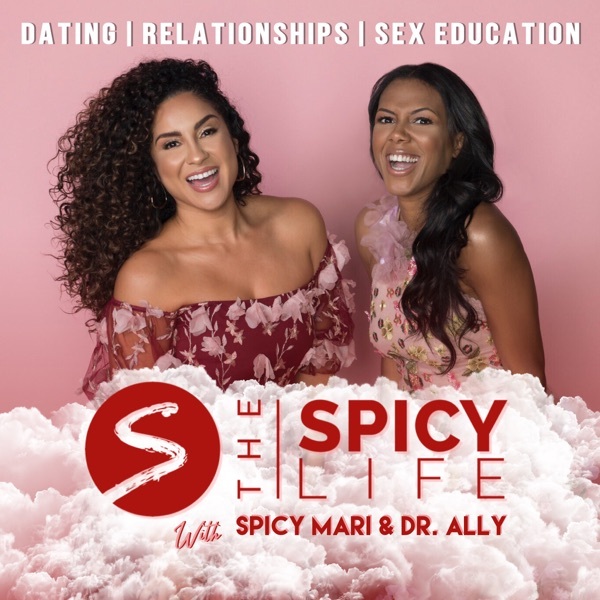 This week on The Spicy Life Radio Spicy Mari and Allycin Hicks sit down with fitness expert Connor Morgan Huff and Chef Kimlai Yingling to discuss how to create a healthy habit, nutrition replacements, and how diet affects your romantic relationships. Simple Steps To Seduction. This week on The Spicy Life, Spicy Mari and Dr. Ally cover how to identify your seductive qualities, how to chose your target, demonstrating danger, and how to create desire. Tune in to discover how to have the upper hand while dating or in your relationship. Is Social Media Ruining Your Relationship? This week on The Spicy Life, Spicy Mari and Dr. Ally sit down with Psychotherapist Zeahlot Lopez to discuss toxic social media behaviors in relationships. Find out how love, respect, jealousy and privacy are affected when partners have differing views on communication etiquette. ...Spicy Sponsors: 1.OPENFIT has changed the way I work-out and with my code SPICY, you can join me on a fitness journey personalized just for you. Lose up to 15 pounds in just the first 30 days! You will get full access to Openfit – all the workouts and nutrition information--- TOTALLY FREE. Just text [SPICY] to 303030 (thirty, thirty, thirty) and start using OPENFIT for your journey to a healthier life. The Secret To A Successful Transition. This week on The Spicy Life, Spicy Mari and Dr. Ally welcome Business Strategist, Magalie Rene to discuss clear steps to finding your shine. Join in on the convo as the ladies discuss how to discover your talents, make a career change, and ways to provide support to your partner through the transition. ....Spicy Sponsors:At ModCloth there's no such thing as an ordinary outfit. Checkout their Spring Collection and take advantage of their in house stylists today. To get 15% off your purchase of $100 or more, go to M-O-D-C-L-O-T-H-dot-com and enter < SPICYLIFE > at checkout. This offer is valid for one time use only and expires on June 9th, 2019. Owning Your Power & Femininity. This week on The Spicy Life, Spicy Mari & Dr. Ally sit down with Amber J. Lawson founder of Good Amplified and the 30 Day Goddess Process. Join us as we dive into why controlling your feminine and masculine energy is powerful, releasing limiting beliefs, how to attract money, and the cultural shift of gender roles in our society...Listen Live Every Monday at 7pm on @DashRadio #DashRadioTalk or @applepodcast @iheartradio @spotify @googleplay @soundcloud ...SPICY SPONSORS:Roll the dice on love but not on birth control 🎲 @simplehealth is a trusted spicy certified sponsor that saves time and money with online birth control. Our spicy listeners get the $20 prescription fee waived by going to simplehealth.com/spicylife or entering code spicylife at checkout. Go ahead and be spicy with your birth control today!